By Rebecca Nickols on August 11, 2012 Visit Rebecca's Website. 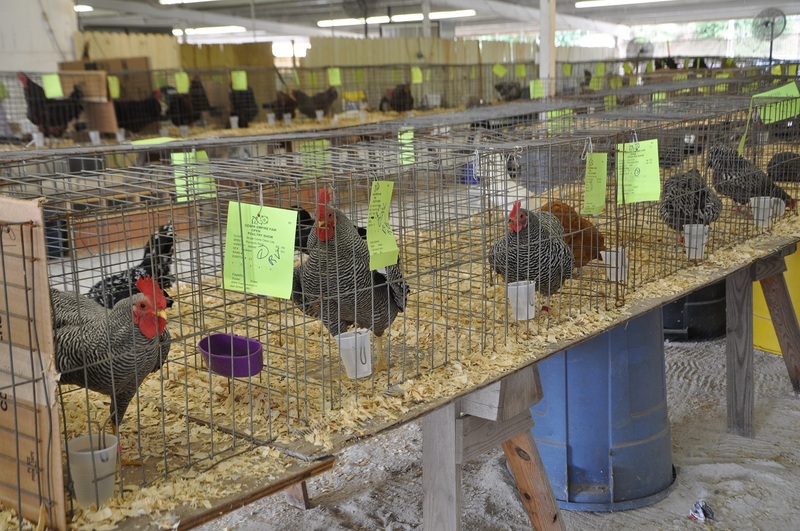 Even though this was this hottest day of the summer (104°F), the area was shaded, fans were blowing at high speed, fresh cool water was available and each bird appeared in top condition–ready for the spectators and judges! Here are a few of my favorites–with some info on each breed from my Pickin’ Chicken app from Mother Earth News. 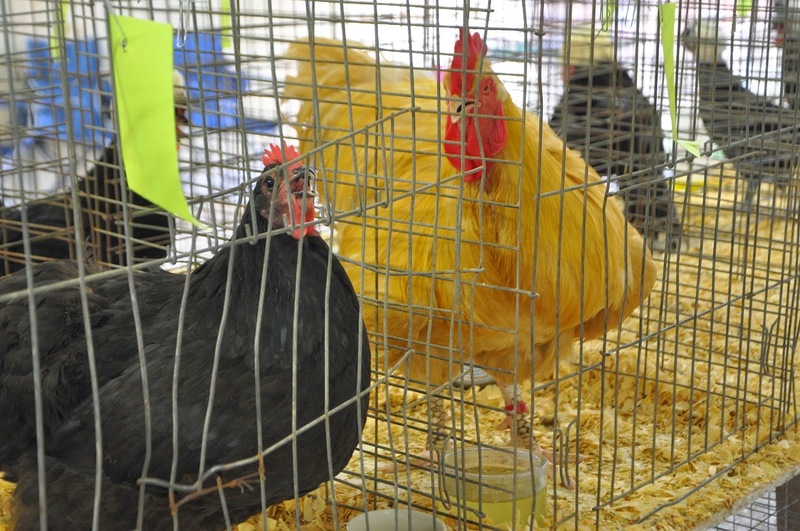 Popular backyard Heritage chicken breed! -Good dual purpose bird (eggs and meat). -Good layer of large brown eggs. -Temperament: calm, docile, more likely to allow holding from and interact with people. -Does well in colder and freezing climates. -Mommy wannabe. Inclined to set or want to hatch eggs. 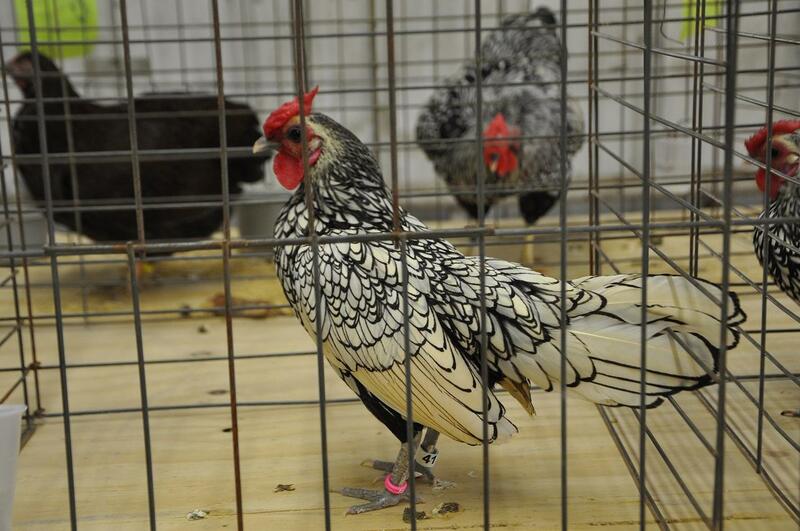 Langshans, a rare, endangered Heritage Chicken breed from China. -Fair layer of large brown eggs. -Temperament: active; regular movement and activity. 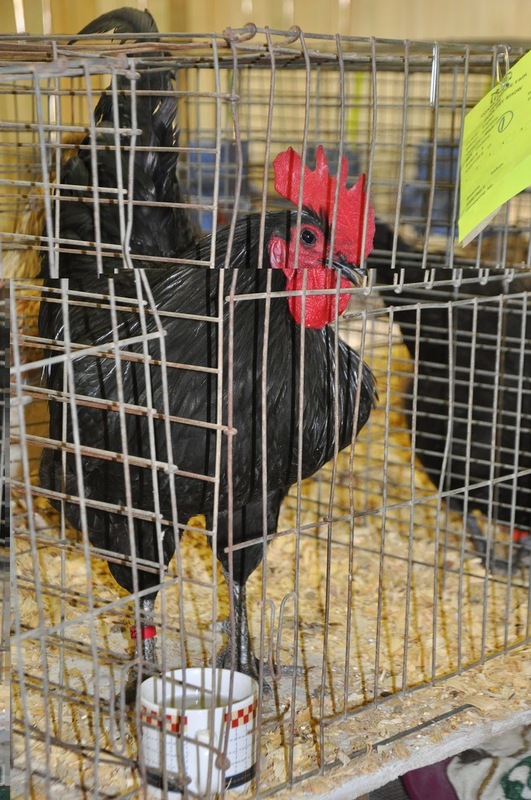 The Australorp is a Heritage Chicken breed of Australian origin. 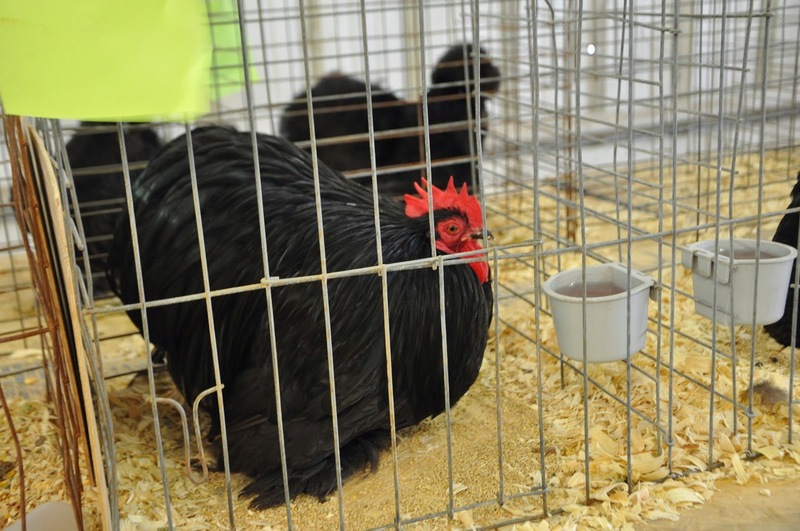 This breed is known for it’s superior egg laying ability.–In fact, the Black Australorp has the world record of 364 eggs in 365 days! -Excellent layer of large brown eggs. -Does well in hot and humid or cold climates. Heritage Chicken breed originating in America and the only chicken breed of the American Class to have been developed by a woman! -Career girl; not likely to hatch eggs. This variety of Wyandotte is relatively new and came to the United States from England a short time ago. 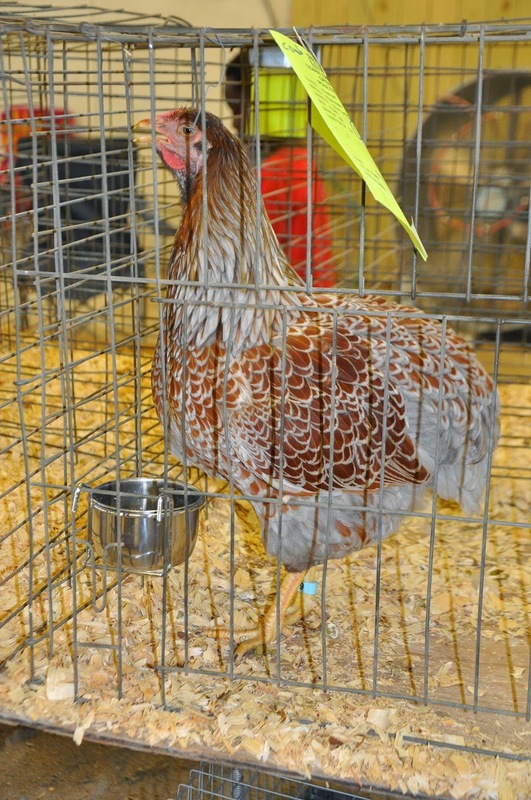 This color variety is not yet accepted by the APA as a Heritage Chicken breed. 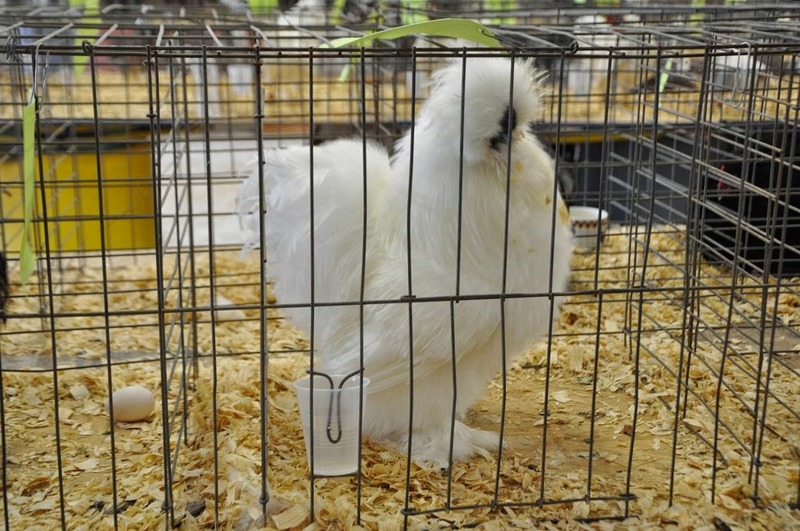 This buff variety of Plymouth Rocks is relatively rare, but recognized as a Heritage Chicken breed. 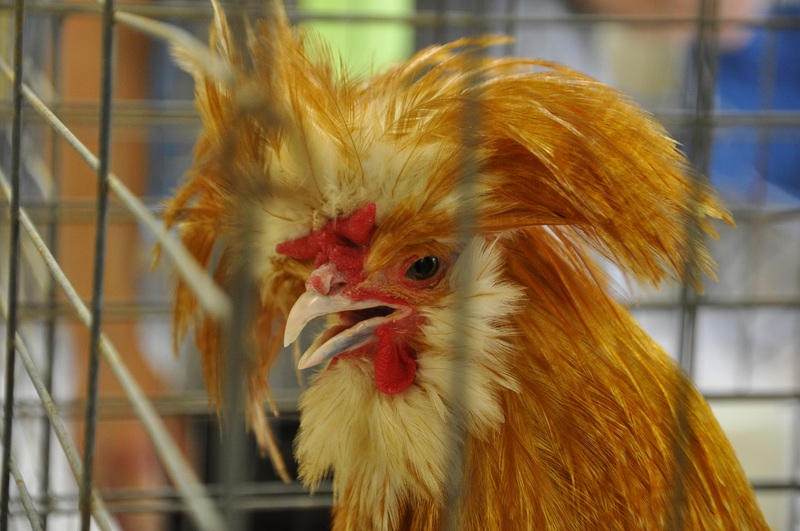 Cochins became famous in the 1800s when this Chinese breed was given as a gift to Queen Victoria of England. -Mommy wannabe. Inclined to set or want to hatch eggs. They are also good foster moms. Ancient, fairly tall breed originating from Persia. Becoming a popular duel purpose breed after becoming nearly extinct in the last century. Not recognized as a Heritage Chicken. -Emphasis on body for meat consumption. -Fair layer of medium sized brown eggs. A favorite for a pet chicken. Unique featering is downy soft to the touch. 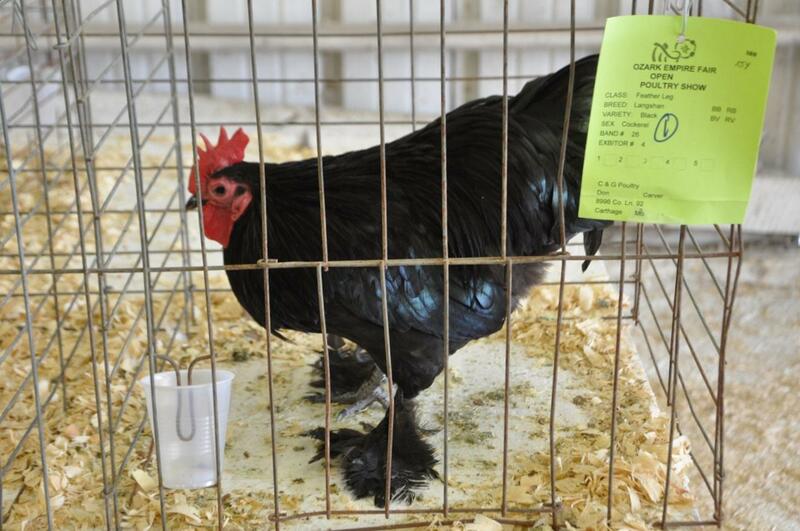 Recognized as a Heritage Chicken. -Fair layer of small tinted eggs. 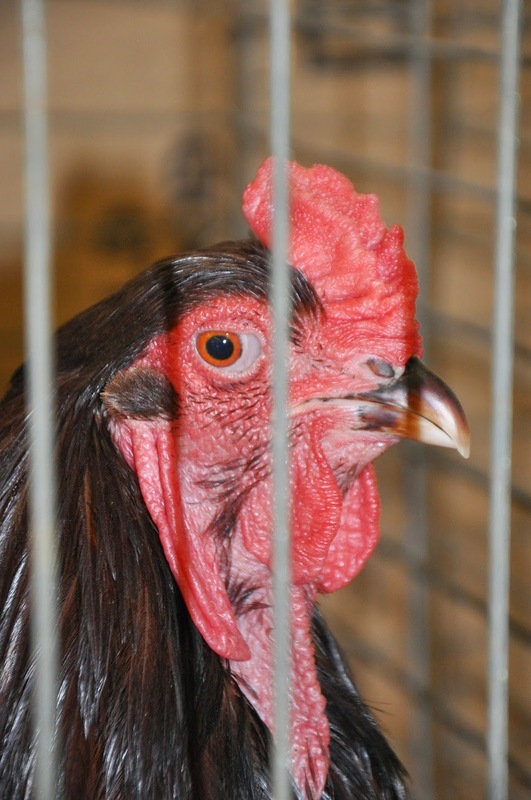 The Old English Game fowl descends directly from a fighting breed known as the Pit Game. 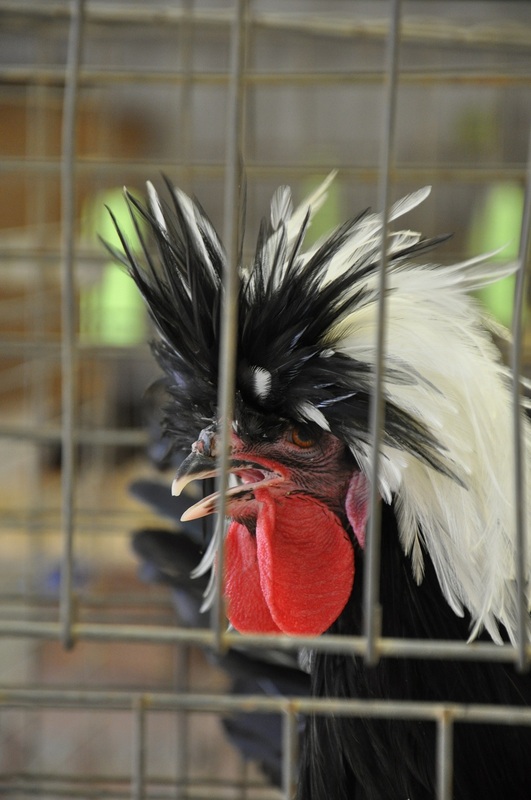 Roosters should not be put together. Not suited to living in contained areas with other chickens. -Temperament: Flighty; easily excited; skittish. 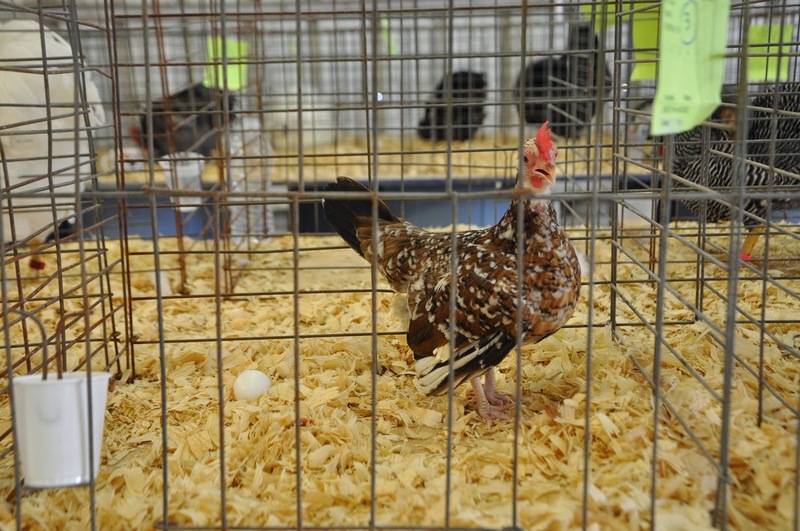 Modern Games are kept purely for ornamental (show) purposes, and bantams much more so than standards. -Temperament: Noisy and active, Can be aggressive and not suited to close confinement. Developed before 1810 in England by Sir John Sebright, after thirty years of breeding. 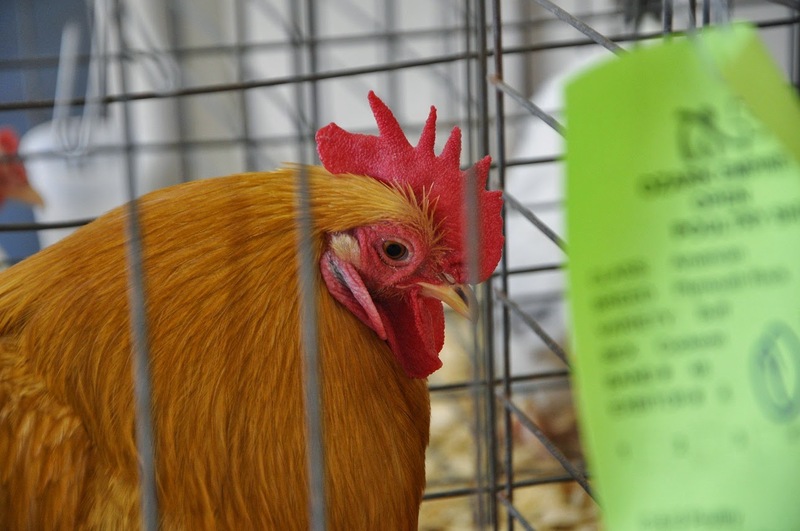 True bantam recognized as a Heritage Chicken breed. -Poor layer of extra small sized white eggs. The Polish breed has a whimsical appearance. The crest and muff feathers can obstruct vision, causing them to be easily startled. The Buff Laced is a rare variety with rich golden buff feathers neatly laced with creamy white. -Good layer of medium white eggs. -Does well in hot and humid climates; not cold tolerant. 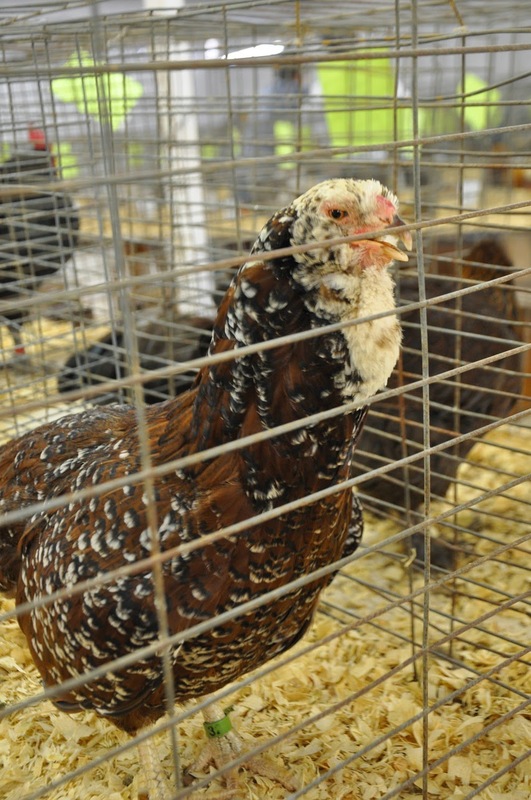 Mentioned in literature as early as the sixteenth century, Polish Chickens are a very old and popular breed. 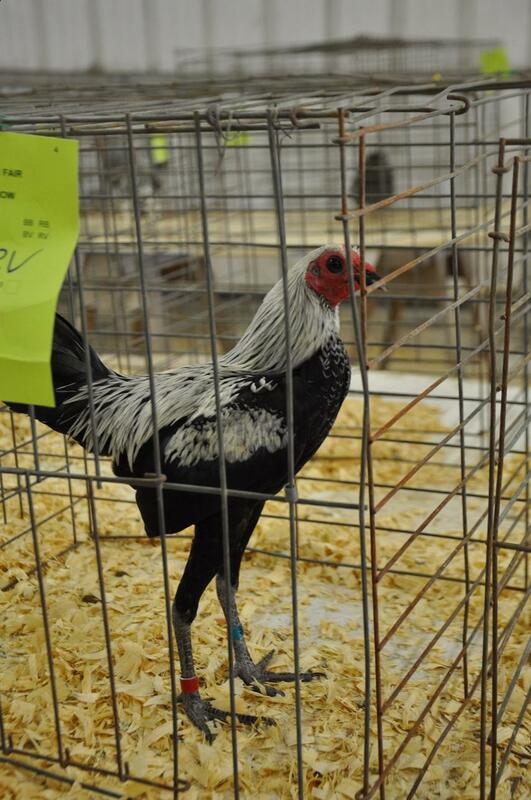 The White Crested Black variety has a striking contrast in color with their body plumage of lustrous black and tall crests of white and black feathers. -Good layer of medium sized white eggs. Very gentle birds; good with family, including children. -Good layer of medium sized brown eggs. 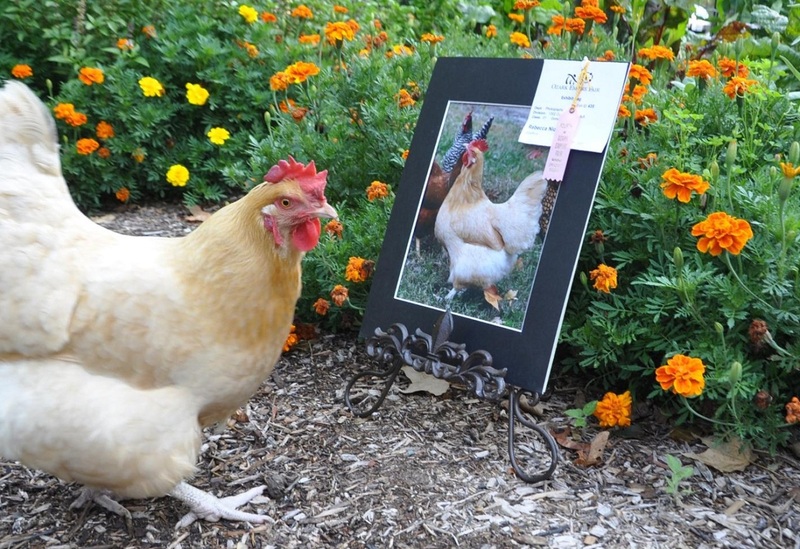 Even though I didn’t actually enter a chicken in the poultry exhibit, I did enter a photo of my favorite breed in the photography competition. My beautiful Buff Orpington, Henrietta, took a 4th place ribbion (she was up against cats and dogs in the domestic animal category)! This breed is my favorite not only because of their great egg laying abilitly, but they have the most easy going, family friendly personalities. She’s definitely the “best in show” in my opinion! -Good layer of large sized brown eggs. What’s your favorite breed?–Leave a comment below or share a photo with the Community on our facebook page! To see what else is happening on our southwest Missouri property, visit: the garden-roof coop. We are complete newbies to chicks and chickens, but we now have 8 chicks. We have two buff orpington and they are both very sweet and amazingly docile – they don’t even run when you put your hand in to pick them up. I’m pretty sure they will be our favorites (though I have a soft spot for one of the Rhode Island Reds too). I love my two black Marans, and the dark brown eggs they supply us with. Great post –your fair (and that BBQ) sounds wonderful! Congratulations to Henrietta (and you)! 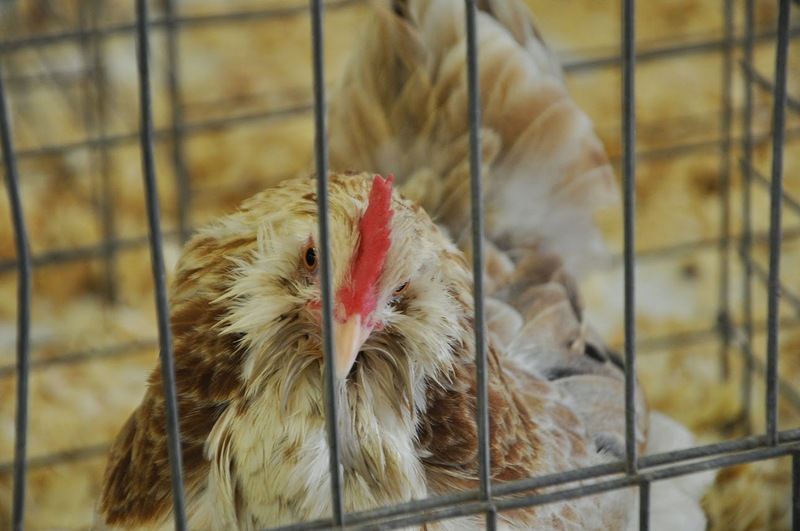 My family always gives a big sigh when I suggest going to a fair, because they know I’ll be heading directly to the poultry barns. My personal favorite has always been the Buff Orpington, too, but we are raising some Barred Rocks (one of whom is named–ta da!–Henrietta) this year, and I am finding they’re are nice, friendly birds, too, with lots of personality. I enjoyed the post! Great post ! My favorite that we raise is our Faverolles, but I am interested in the Orloff breed and was happy to see it included here. Congrats to Henrietta! I sure loved this post, actually I love every post I read of yours! It was like visiting the fair myself. Love chickens!